Self contained refrigeration unit, could be added at time of purchase of the cooler. 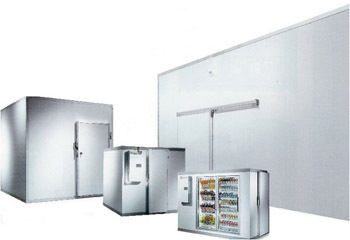 brings you the simplest, most reliable walk-in refrigeration system solution in a single package! The Pro 3 system comes ready to mount on top of the cooler or freezer and requires minimal space. The evaporator portion of sits flush in the ceiling allowing for maximum use of refrigerated space inside the box. # System is fully assembled at the factory and backed up by Bohn's superior quality control. # Electronic controls provide accurate temperature control. 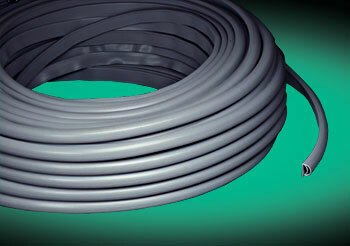 # Simple, quick installation with no piping or loose components to install gives you savings on labor. # Installs in a fraction of the time it takes to install a split system. # Evaporator section mounts flush in a standard 4in ceiling panel to allow for more storage in the cooler or freezer. 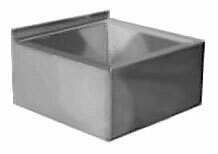 # Condensate evaporation pan eliminates the need for a drain line. # Some models come with a 26in power cord ready to plug in. # System is factory assembled, evacuated, charged, run tested and wired. No additional components required. # Controls preset for typical applications (35°F for coolers, -10°F for freezers) are easy to adjust. Bohn/ Turbo air smart7 systems brings you the simplest, most reliable walk-in refrigeration system solution in a single package! The Pro 3 system comes ready to mount on top of the cooler or freezer and requires minimal space. The evaporator portion of sits flush in the ceiling allowing for maximum use of refrigerated space inside the box.